Anker’s travel-friendly PowerPort wall chargers are a great addition to any suitcase or laptop bag, and two different models are on sale today. Most of you will be interested in the PowerPort 4, which can provide up to 8 amps simultaneously across four ports. I have one of these, and it’s extremely well built, and even includes an LED that changes colors once all of your connected devices are fully charged. Just note that this deal is only valid on the white model. Owners of a few very specific phones may be interested in the PowerPort+ 1, which includes a single USB-C port with Quick Charge 3.0. That is not the same thing as USB-C Power Delivery, so this isn’t ideal for laptops or other high-draw devices, but it does come with a USB-C cable, which is nice. Reviewers say these sound fantastic, and that 15-hour battery is nothing to sneeze at. My favorite feature is a toggle switch that lets you switch between two connected devices without re-pairing, which will save you a ton of hassle if you’re, say, transitioning from a phone during your commute to a laptop at work. If you don’t own a pressure cooker, today’s a great day to fix that, as Amazon’s knocked the month-old Instant Pot IP-DUO Plus60 down to $99 today, or $20 less than usual. The Plus60’s predecessor, the IP-DUO60 (which had a few fewer options and temperature settings) was one of the most popular items we listed last year, so this is a great chance to get the upgraded version without paying extra. If you’re worried that you won’t get a ton of use out of this thing, note that in addition to standard pressure cooking, Instant Pot is also our readers’ favorite slow cooker and one of their favorite rice cookers, too. To put a fine point on it: It’s one of the most versatile kitchen gadgets you can own. You might not need to use a Dremel all that often, but it’s one of those things everyone should keep in their tool box, if only for sanding wood and carving jack-o’-lanterns. Hell, my wife used ours to turn an iPhone 6 case into an iPhone 7 case. The Dremel 4000 features a variable speed motor that can spin anywhere from 5,000 to 35,000 RPM, and includes 30 accessories and two attachments to get you started with projects all around the house. If you’re a Prime member, you can get it for $42 today, an all-time low by more than $10. The trick to making delicious pizza with crispy crust is a hot oven. Like, really hot. PizzaCraft’s propane-powered PizzaQue outdoor oven can get up to 700 degrees, which will turn out a perfectly cooked pizza in just six minutes. Today’s $74 deal is an all-time low, and in fact, we posted it in January for $112, which was a best-ever deal at the time. Just be sure to get a pizza peel to go with it. It’s finally getting hot outside again, which means it’s time to break out the shorts. If you need some new options for your wardrobe, Amazon’s discounting dozens of Lee shorts, capris, skirts, and other garments that leave parts of your leg exposed to just $18 to $25. Just note that like all Gold Box deals, these prices are only available today, or until sold out. 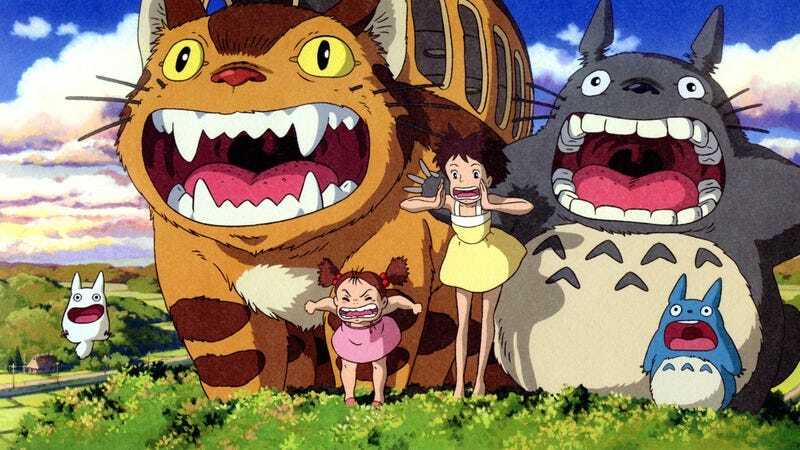 If you haven’t completed your personal Studio Ghibli collection yet, two of Miyazaki’s best films are down to some of the lowest prices Amazon’s ever listed today, for Prime members only. Every single panel of Calvin And Hobbes’ 10-year run has been collected into a 1456-page box set, and it can adorn your shelves for an all-time low of $50 today. Even if you don’t want it for yourself, you could stash it away as a birthday or holiday gift for someone who would appreciate it.